Think you know photography? Think again. 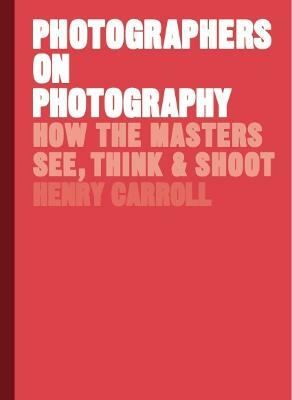 Through a carefully curated selection of quotes and images, this book reveals what matters most to the masters of photography. With accompanying text by Henry Carroll, author of the internationally bestselling Read This If You Want To Take Great Photographs series, you'll learn what photography actually means to the giants of the genres and how they developed their distinctive visual styles.